We shared some of these lessons at a recent presentation at Union of Reform Judaism’s Post B’nai Mitzvah Innovators Community of Practice in-Person Gathering for congregations, and we’re pleased to share them more broadly so we all may improve the way we encourage, support and train teens to create rich Jewish experiences, for themselves and for their networks. Shared here are the experiences of several Funder Collaborative communities, each drawing on Outcomes Which Positively Affect the Lives of Jewish Teens. This outcomes framework creates common links amongst all our endeavors, and is a direct factor in the initiatives to empower teens. Each of the diverse programmatic models offer valuable insights and several are already spreading to other communities. Three different communities offer a grant pool for new, teen-led programs, and train teens to both administer the funds and to tap into the awards with the purpose of sparking new and innovative Jewish experiences. We want teens to have buy-in and support from other teens. These are real decisions being made; it’s not simply slotting a teen into a spot on a larger committee. And teens have awarded funds to projects that adults didn’t necessarily respond to. That is powerful…teens dig into application details and know they’re the decision-makers. For most of their lives that’s actually not the case. When we think of teen empowerment, we go back to understanding how we treat people, including teens. We have a notion of professionalism that we strive to meet. We need to treat teens as if they are the Board of Directors of the Federation. Pragmatically, this means for each teen meeting there is an agenda; food at events is high quality and served on tablecloths; our communications with teens, while perhaps somewhat different than with older generations, is still professional. Even just having name tents for teens in a meeting sets a tone, changes the dynamic, and changes their attention span. These may seem minor, but when taken together, it all signals a level of seriousness and empowerment. Teens respect that. Two key initiatives in Boston highlight a peer-to-peer approach. 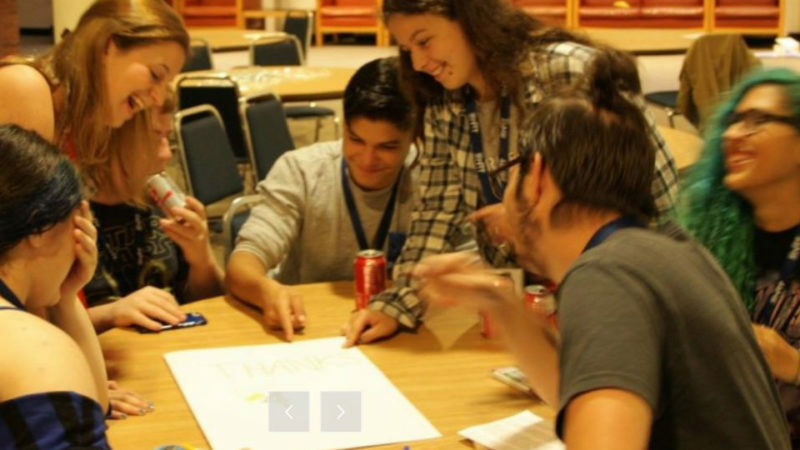 To leverage the camping communities of URJ Eisner and Crane Lake Camps, the URJs Northeast Teen Collective (NETC), an original grantee of the Boston’s Teen Initiative, trains teens to create experiences that will capture the imagination of their less involved friends throughout the year. The Machon Summer Leadership Institute teaches teens about leadership and creating community through Jewish values. The Dana Gershon and Rabbi Jonah Pesner Northeast Leadership Summit is a social justice entrepreneurial event where experts teach Jewish content informed by graduate-level business models. Both lay the groundwork for the third intervention that empowers teens to create projects, events, and experiences for their peers: Pop-up Events. “At the Summit, teens pitch their ideas in a Shark-Tank style program. This is a deeply impactful and important experience for teens. It offers them the space to clarify their ideas and visions and to voice their passions. And they do this all with funders in the room looking to support them,” said Messinger. She has observed both genuine successes and unintended benefits. Since 2015, almost 100 pop-ups have engaged 600 teens outside of summer camp, from Shabbat dinners to social action campaigns featuring gender neutral bracelets. Often teens ask their parents to chaperone events or help in other ways, offering an unexpected and effective inter-generational component. “We don’t ask teens to ‘recruit’ other teens. That creates an ‘in-group’ and ‘out-group’ dynamic that creates tension. Instead, we train teens to be ‘peer connectors.’ We train them in community organizing and relational connecting. A key ingredient is the recruitment of diverse teens with varied interests. Peer Leaders each receive a $500 annual stipend and must reach targets for conversations and interaction. These diverse models empower teens authentically, and in ways which may feel challenging to adults. The common link is trusting the teens, enabling them to create Jewish experiences for themselves and their peers.